A Hobbit tour like no other. Earnslaw Burn Heli-Hobbit – NZ’s most spell binding movie location tour. 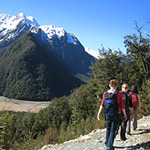 Journey by helicopter to the mighty Mount Earnslaw and the spectacular landscape of Middle-Earth. 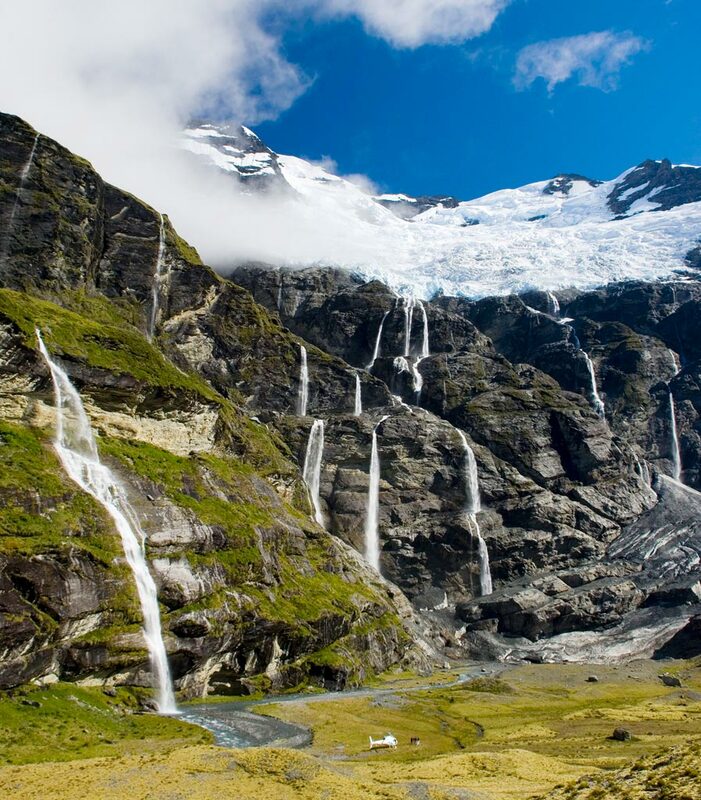 Land besides the awe-inspiring Earnslaw Glacier, where the hanging glacier looms above and waterfalls cascade all around. 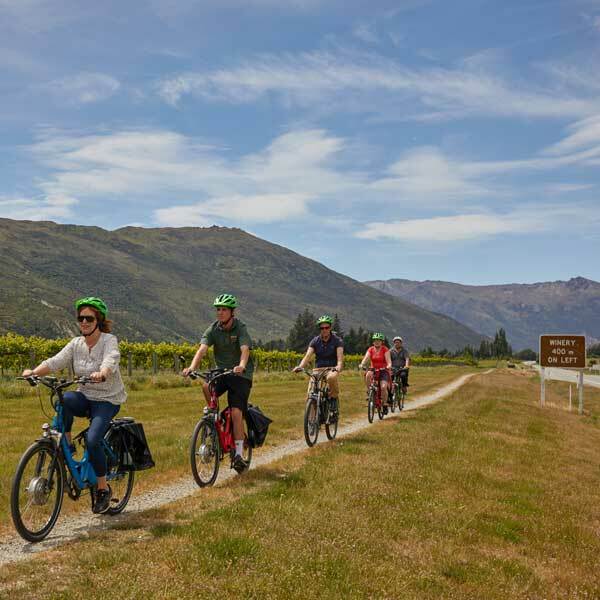 Return to Queenstown joining Nomad Safaris for a bespoke 4WD tour of Lord of the Rings and the Hobbit filming locations that capture the breathtaking natural beauty of New Zealand. 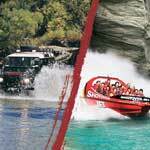 Includes: Pickup from Town Centre or Queenstown accommodation. 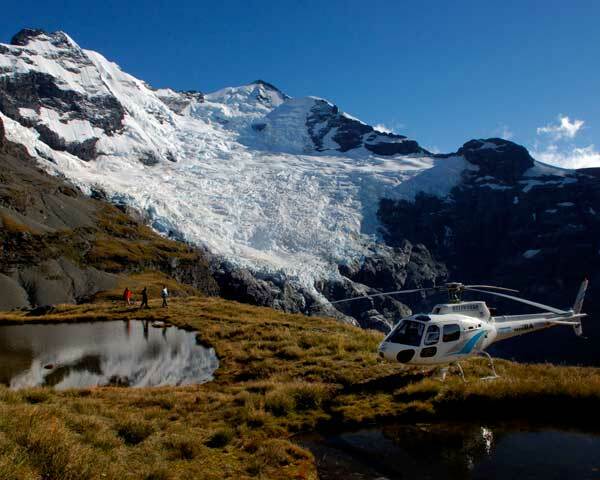 Helicopter Flight & landing by Earnslaw Glacier, 2 hour scenic 4WD Tour, refreshments. NZ’s most spelling binding movie location tour, a Hobbit tour like no other. 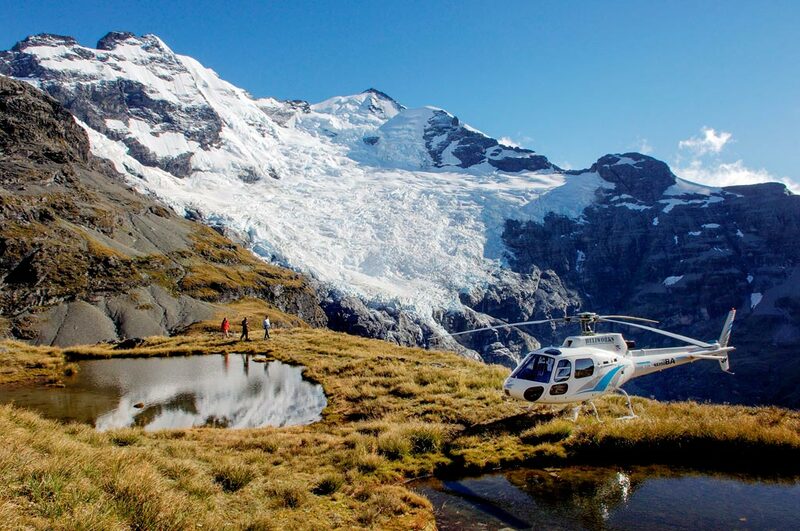 Journey with helicopter in to the mighty Mount Earnslaw, the spectacular landscape of Middle-earth. 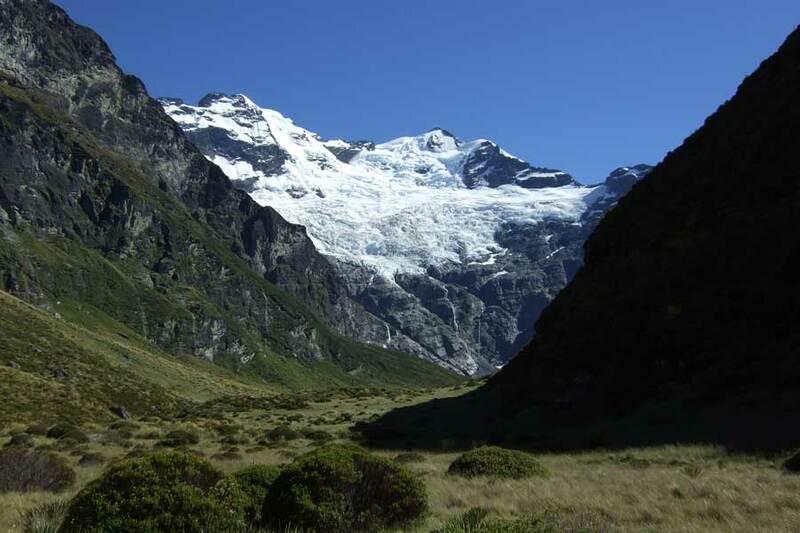 Land besides the awe-inspiring Earnslaw Glacier, where the hanging glacier looms above and waterfalls cascade all around. 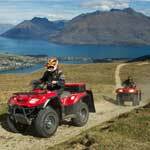 Return to Queenstown joining Nomad Safaris for a bespoke 4WD tour of Lord of the Rings and the Hobbit filming locations that capture the breathtaking natural beauty of New Zealand. The helicopter ride to the glacier is an adventure itself travelling up the Lake and over the hamlet of Glenorchy, the subject of a tv movie – “Top of The Lake”. Approaching Mount Earnslaw it is easy to see why this was selected to portray Caradhras, a mighty peak of the Misty Mountains described by Tolkien. Snow covered and glacially draped often with a hint of cloud, sky piecer the Maori called it. Landing in two locations used in the first Hobbit movie, along the ridge line and then under the glacier surrounded by waterfalls and ice falls. A surrounding never to be forgot. 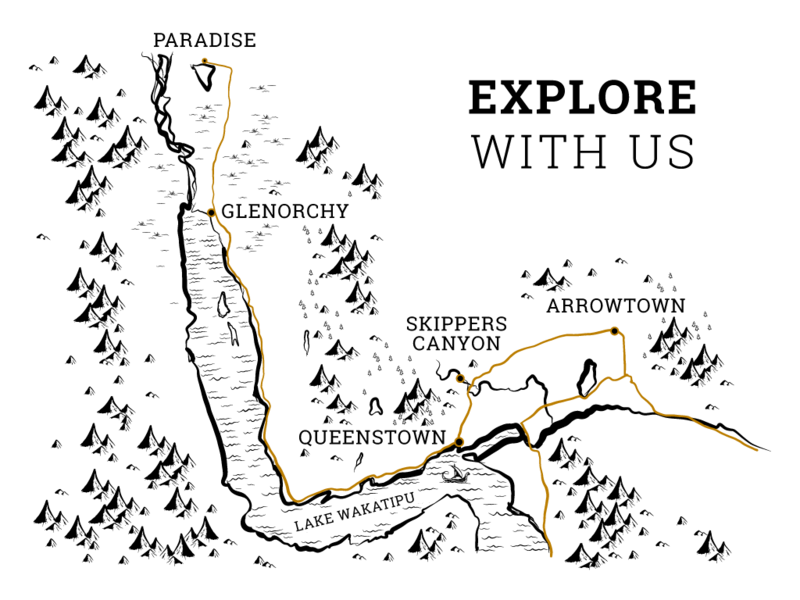 The ride in and out will give the Gwahir, king of the eagles eye view of the region used for the elven forest of Lothlorien and the headquarters of the former great white wizard, Saruman, known as the Wizards Veil, Isengard and surrounded by Fangorn forest. Returning to the airport and taking the 4WD immerse yourself in the spectacular beauty of Queenstown and it’s surrounding areas with scenery that helped create the magic of Lord of The Rings. See where Aragon fell during the battle of the Wargs, where Arwen defies the Wraiths at the Ford of Bruinen, and stand on top of the Pillars of the Kings, You will see the locations of the exodus of the refugees of Rohan, the dark mountains of Mordor and where Isildur is betrayed by the ring at Gladden Fields. Experience going off road and the thrill of gold panning in the Arrow river amidst the true beauty of rugged cannons, majestic mountains, rolling farmland and native bush. The area is rich gold mining history and gives you a window into the lives of early gold miners in the Arrowtown area. 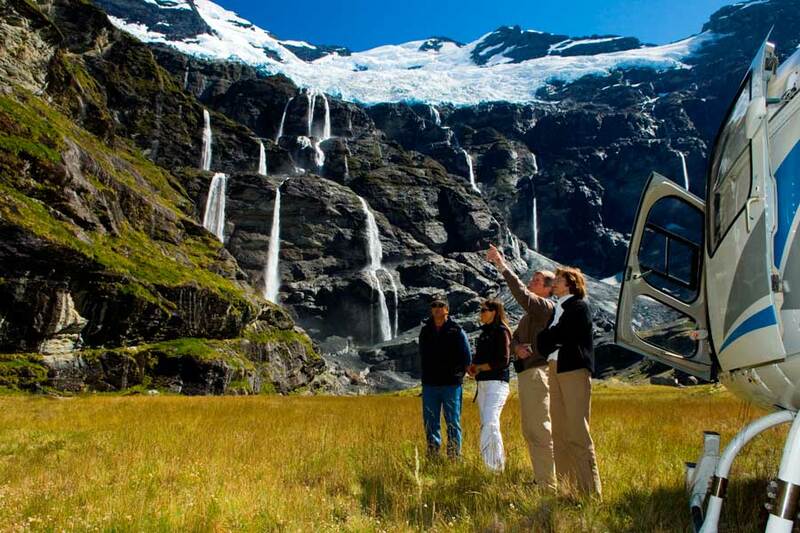 This four hour tour will take you behind the scenes, and introduce you to the landscape that inspired the filming of The Lord of The Rings and The Hobbit as well as other blockbusters such as Willow, Vertical Limit, The Lion the Witch and the Wardrobe and Xmen origins: Wolverine along with the true beauty of Queenstown and surrounding areas. This is the perfect tour for those that want the thrills of an off road adventure, extraordinary effect of travelling in a helicopter, the connection of really touching the landscape whilst enjoying the rich history of the area. What scenes do we visit? The main scene filmed here (at Earnslaw Burn) is the trek from Rivendell by the Party. 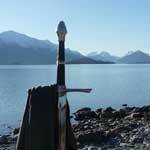 We visited places where Lord of The Rings, Wolverine and other movies were shot. The landscape and mountain ranges were spectacular. Our guide was really cool and he showed us pics of scenes from the movies. We even had Lord of The Rings props to take photos with. – Charles J.